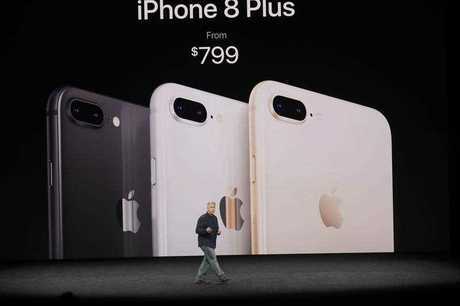 APPLE launched a new range of iPhones Wednesday morning which might be perfect timing if your old device is beginning to slow down. In fact Apple says its flagship product, the iPhone, is technically only guaranteed to last for 365 days. At least that's what the company is arguing in a Californian court. The consumer tech giant is facing a class-action lawsuit filed by disgruntled customers after the touch screen on their devices stopped working properly. Known as "touch disease" the issue has plagued a small percentage of iPhone 6 and iPhone 6 Plus users who complained of diminishing sensitivity and spotty functionality of the touch screen after owning the device for a short while. With an unresponsive touchscreen the phone effectively becomes frozen and can't be used properly. When news.com.au reported on the issue late last year, a number of readers complained of experiencing the defect. Because the plaintiffs in the Californian case say the touch disease infected their phones after a year of ownership, Apple is washing its hands of any responsibility. A year is actually the default warranty you get when you buy an iPhone. In reality, the average iPhone will easily last more than two or three years, especially if you're willing to go to the trouble to replace the glued-down battery which has a limited lifespan. But the plaintiffs in the case assert there is a reasonable expectation among customers that the device will last the standard length of a contract with mobile carriers. The lawsuit argues that "consumers reasonably expect that smartphones will remain operable for at least two years when not subject to abuse or neglect because the overwhelming majority of smartphone users are required to sign service contracts with (mobile) carriers for two year periods." Despite publicly saying it makes the most durable devices Apple isn't afraid to fall back on a legal technicality to win the case. In a bid to have it thrown out, Arturo González, the lawyer representing Apple in the case filed a motion earlier in the year arguing it is "not appropriate for courts to rewrite the express terms of a warranty simply because of a consumer's unilateral expectations about a product." To hold Apple accountable "simply because plaintiffs expect their iPhones to last the length of their cellular service contracts" would put an unfair burden on the company, reads the motion, which was published by Motherboard. "Nowhere do plaintiffs allege that the iPhone 6 or 6 Plus deviated from Apple's intended design," it added. At this point the case could still head to trial but if it is settled beforehand we likely won't get a definitive answer on the rights and expectations of customers. The extent to which it exists today depends on how conspiratorially minded you are. But far from promoting a caricature of greedy companies fleecing their customers, product makers are often bound by imperfect technology, and a majority of times are simply responding to the desires of consumers who want a sleek new device every couple years. The terms has its origins in the US light bulb industry in the 1920s when a group of light bulb manufacturers - infamously known as the Phoebus cartel - conspired to prevent technological advances that would have produced longer-lasting light bulbs. For some, today's smartphone is the new light bulb: screens or buttons break, operating systems and apps can suddenly no longer be upgraded, and the lithium batteries in smartphones soon die. In recent months there has been a growing fight to preserve the rights of customers to be able to repair their devices. In April, the Australian Competition and Consumer Commission accused Apple of misleading consumers about their warranty rights by routinely refusing to inspect or repair devices for free if they have been repaired by a third party, even when the repair - usually a cracked screen - was not related to the fault. The ACCC lodged proceedings against Apple in the Federal Court after investigating consumer complaints about "error 53" - which disabled consumers' iPads or iPhones after they downloaded an update to Apple's operating system. 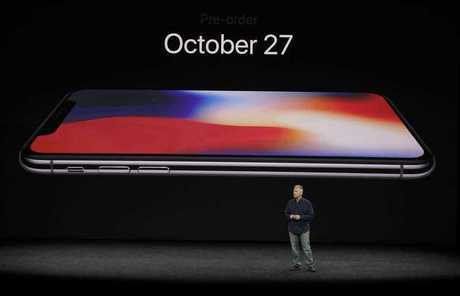 Apple event in under 4 minutes: All the major announcements from Apple.